Just to say thank you for your usual brilliant service.Ordered my Dermalogica on Sunday and arrived perfectly packed by Keith on Tuesday morning. Best wishes. Hello, I wanted to say thank you for another fast delivery. 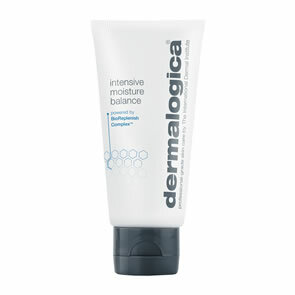 Order placed yesterday afternoon, dermalogica received this morning - brilliant. Thanks. I ordered yesterday, and received my order today. Thank you! Hi, Just to say fantastic service as usual â�� only ordered yesterday and parcel arrived this morning. All your staff are so friendly and helpful so will definitely be using your services again in the future. Thank you for a fantastic service. I placed the order on Thursday 19th in the afternoon and I had the goods by Friday 20th all perfectly packaged and I have to say delighted with both the products and the email responses of keeping me informed! Thanks again. I have received my order. What excellent service! Once again, hats off to the team. Another seamless delivery of all goods as per usual. Received with absolute thanks for your speed and efficiency. Hello, I am delighted with the service you provide. It is excellent. Thank you so much. Regards. Hi, I just wanted to say thank you for my latest speedily-delivered batch of Dermalogica products, it's always great to know that the items I order will arrive so soon. An extra huge thank you for the free gift! It was a great surprise and will come in very useful. Best wishes. All received this morning thanks so much :) AWESOME service as always! Hi there, I order regularly from your site and I'm always pleased with the service. I recently made a purchase of over Â£100. You sent me the free gift although the offer wasn't on at the time when I placed the order. You didn't need to do that, but it certainly shows that you value your customers. I'm only sorry that I live so far away, otherwise I would try your salon which I'm sure provides the same excellent service! Well done and thank you again! Thank you for my order for Dermalogica Skin Smoothing Cream, it arrived within two days of ordering, and was much cheaper buying on line. I have used you before and would certainly compare you with other on-line sites to re order in the future for the best prices. The free samples are a lovely way of trying different products I am very impressed with that so thank you once again Pure Beauty and for delivering so quickly. I just want to say an absolutely massive thank you to all the team members involved in my recent order. 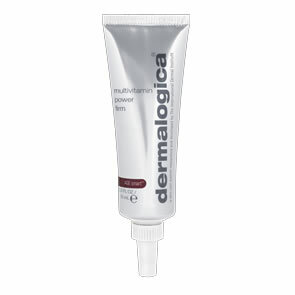 I initially received an email to say my items were out of stock and starting worrying at the thought of going on holiday in the next few days without by beloved dermalogica products. I was so pleased and surprised at the efforts that's you guys went to to take stock from the salon and take the time to let me know and send it to me very promptly, thank you ever do much!!!! This is exactly the reason why everyone should come to you guys for beauty products. Many thanks.